Now may be a good time for friends and families to rekindle their broken Facebook relationships since it appears Russia was behind much of the hostile engagement on the social network during the 2016 presidential election. Apparently 10 million people on Facebook saw 3,000 Russian-backed sponsored posts before and after Election Day, fueling racial, religious and political divisiveness. Initial investigations also show that content was geo-targeted in key swing states that may have tipped the scales in favor of the GOP. The frenzy forced many to take action. Thirteen percent of Americans reported blocking or “unfriending” someone on social media because of their political postings, according to a survey by PRRI, with Democrats nearly three times more likely than Republicans (24 percent vs. 9 percent) to shut off opposite-minded friends and family. It’s hard to quantify the actual impact of the ads. The bottom line is that Trump supporters came out in full force on Election Day, and Hillary Clinton failed to win over white women and female voters without a college education. Whether the “news” was fake or not, the content fueled an inherent bias on both sides of the proverbial aisle. Moreover, after the 2012 presidential race, the Republican Party ignited its online presence and get out the vote operations that most likely help propel Donald Trump to victory. No doubt Facebook has an image problem. Shares of the $500B social media giant started to rise from earlier in the week when the stock took a hit from its 52-week high of $175.49, closing at $172.23 on Friday. 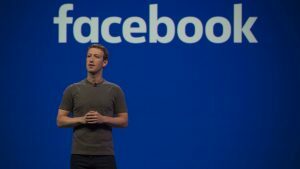 Things may only get worse for Facebook if and when Zuckerberg testifies before Congress or the slew of investigations into Russia’s involvement in the 2016 election show the social network at fault. Zuckerberg, however, has repeated many times Facebook’s platform for candidates to communicate directly to voters had a much greater impact that any misinformation on the network. Facebook fosters engagement unlike any other social network. That engagement needs to be free of any censorship for it to work best. But with more than two billion active monthly users, and more than 200 million in the U.S. alone, there certainly isn’t any shortage of opinion. Most times people believe what they want on social media regardless of any fact checking. The paradox is that that two-thirds of Americans (67 percent) say they get at least some of their news from social media. In the end, Facebook will recover from this so-called crisis. The network is engrained in the social fabric of American politics, sort of like the ubiquitous seatbelt. People need to be more open-minded to determine what’s fake “news” and what’s not. Unless that changes, stand by for more of the same in 2020.